Xing Yi Nei Gong Program now available! Strengthen the body, increase vitality, preserve your health. Learn a powerful set of exercises that will benefit you for the rest of your life! I am loving the Xing Yi Nei Gong program. I feel benefits already. Plan to do it every day. It is really wonderful and well done, I feel like I am having a private lesson. Very comprehensive. I have longed to come to NYC to study with you and this is almost as good. Increase vitality, strength, coordination and balance. People who practice Xing Yi Nei Gong often report additional benefits including a calmer spirit, improved sleep, greater resistance to illness and reduction in joint pain. The Xing Yi Nei Gong Online Learning Program is presented by Tom Bisio. Tom details exactly how and why each exercise works, and imparts valuable tips, imagery and detailed explanations of the internal connections, providing you with a clear and comprehensive approach to learning and mastering these exercises. Nothing is held back! Nei Gong literally means “internal exercise.” Xing Yi Nei Gong was created by Wang Ji Wu, who lived to be 100 years old and remained healthy and vital into old age. Wang was an accomplished martial artist and a practitioner of traditional Chinese medicine. Based on experience and experimentation, he created a series of exercises for his students and patients that effectively strengthens the whole body inside and out, from head to toe, while building energy and vitality, and preventing illness. 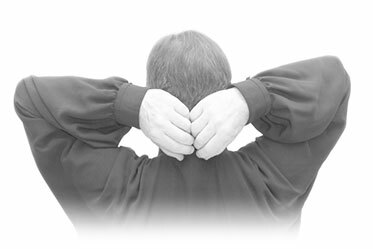 These same exercises can also be used for rehabilitation after illness or injury. Wang Ji Wu tested these exercises throughout his lifetime. We have taught Xing Yi Nei Gong to students, both in small groups and larger classes, and Tom has taught them to patients in his Sports Medicine clinic. Across the board, the results have exceeded our expectations. Xing Yi Nei Gong can be performed in just 20-30 minutes a day. When practiced daily, these “Life Nourishing” exercises increase functional strength and flexibility, and promote vitality and inner resilience. Simply follow the clear and concise instructions in the manual and videos and in 100 days you will be on the road to mastery. part of your exercise routine and lifestyle! 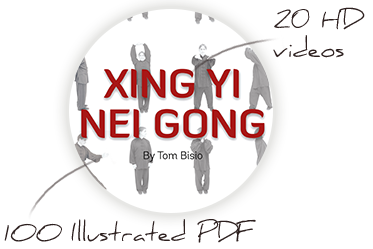 The PDF details how each exercise works, imparts valuable tips, imagery and detailed explanations, and provides a clear and comprehensive approach to learning and mastering Xing Yi Nei Gong. 20 HD (high definition) streaming videos detail the fine points, elucidate the correct performance and discuss the health benefits of each exercise. *Only in the Deluxe Program. You can stream the videos over the web and/or through the Gumroad app. On your phone or tablet, watch all the videos through Gumroad’s free app (available on both IOS & Android). If you purchase the program and aren’t satisfied, just contact us within 14 days, and you’ll get a complete refund, minus a $25 administrative fee. The sample PDF is yours to keep. Can be done in 20-30 minutes. Prevents illness and promotes longevity. Activates the meridians and improves circulation. Can be done by almost anyone. Restores the body’s natural movement patterns. Works synergistically. Each exercise interweaves with the others and builds upon its predecessor. No equipment or specialized knowledge required. What is Xing Yi Nei Gong and why should I learn it? Nei Gong literally means “internal exercise”. Xing Yi Nei Gong was created by Wang Ji Wu, who lived to be 100 years old and remained healthy and vital into old age. Wang was an accomplished martial artist and a practitioner of traditional Chinese medicine. Based on experience and experimentation, he created a series of exercises for his students and patients that effectively strengthens the whole body inside and out, from head to toe, while building energy and vitality, and preventing illness. These exercises are also an excellent form of rehabilitation after illness or injury. Xing Yi Nei Gong can be performed in just 20-30 minutes a day. When practiced daily, these “Life Nourishing” exercises increase functional strength and flexibility, improve coordination and balance, and promote vitality and inner resilience. Why Study Nei Gong with Internal Arts International (IAI)? We offer detailed, top-notch instruction that is clear, concise and thorough. Every detail of each exercise is explained clearly, without mysticism or secrecy. 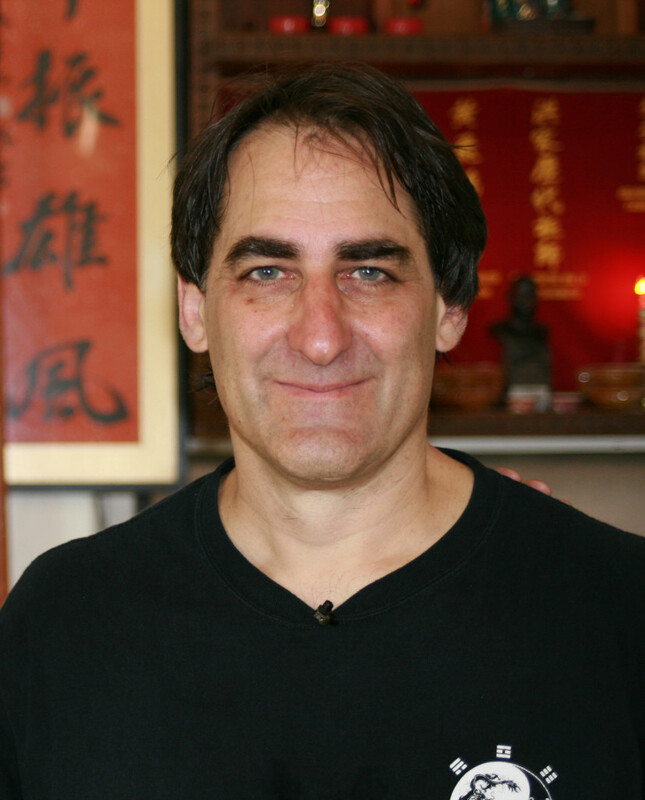 IAI Founder & head instructor Tom Bisio has trained and practiced Chinese internal arts and Qi Gong since 1984. For the Xing Yi Nei Gong Online Program, Tom weaves together decades of training and teaching Chinese internal arts/qi gong, his extensive experience and research in Xing Yi (including 14 trips to China), plus a deep knowledge of traditional Chinese medicine. Throughout the program, Tom details exactly how and why each exercise works, and imparts valuable tips, imagery and detailed explanations of the internal connections. These insights, distilled after decades of study and practice, ensure correct performance of each exercise, allowing you to gain the maximum benefit from your practice. What are the benefits of the Xing Yi Nei Gong program? No equipment or specialized knowledge required – this course provides you with all the information you need to perform the exercises correctly and reap the maximum health benefit. I’ve never studied Nei Gong or Qi Gong before. Can I really learn these exercises through an online program? While there are some advantages to learning in a classroom setting, there are also disadvantages. For example, once the class is over, you don’t have the teacher there to help you in your daily practice. Our experience is that in a classroom setting, students often have difficulty remembering corrections they receive. In an online program you can go over the detailed instruction and corrections again and again via the pdf and videos. A common complaint from students in a classroom setting is that the class moves too slowly or too quickly, or not enough time is spent on certain exercises which are particularly difficult. So another advantage of our online learning program is you can learn at your own speed. Secondly, in a classroom setting, one tends to teach in a linear fashion. In our experience, these Nei Gong exercises are only truly mastered and understood through a circular learning method, involving constant recursion. This circular learning method is much easier to actualize in an online learning class. Is this class only for beginners? I am an experienced practitioner of Nei Gong and the martial arts – is this class for me? Xing Yi Nei Gong is designed for practitioners of all levels. Tom has taught these same exercises to people at all levels of ability: beginning students, advanced practitioners of Nei Gong and martial arts, and to patients as rehabilitative exercise in clinical settings. The Xing Yi Nei Gong exercises are explained clearly and in such detail that you will not be disappointed, whether you are a beginning student or an experienced practitioner. Understanding the purpose of each exercise, and learning the critical details of correct performance, make all the difference in receiving the full benefits of the Xing Yi Nei Gong exercises. Why the two packages? Which package is best for me? The Standard Program offers a cheaper option for people who have a lot of experience with Nei Gong or who have studied Xing Yi Nei Gong before. If you have experience with Nei Gong Exercises or have learned Xing Yi Nei Gong, you may be happy with the Standard Program. However, our experience in teaching these exercises to hundreds of students is that detailed instruction and corrections from a master teacher make all the difference, providing you with the most thorough and detailed understanding of each exercise. Correct performance maximizes the effect of the exercises. In a classroom setting it’s often impossible to present all the key details of Nei Gong. However, in a program with written and video materials, it is possible to delineate all the key points and corrections for each exercise. That’s what makes this program unique. For this reason we highly recommend the more comprehensive Deluxe Program. If you haven’t studied Xing Yi Nei Gong before, you should purchase the Deluxe Program. 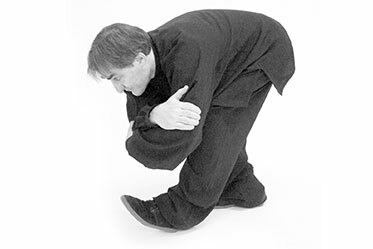 I am a practitioner of Xing Yi Quan. Will this help my practice? Yes! In the detailed explanation videos and written materials, the connection of each Xing Yi Nei Gong exercise to specific practices of Xing Yi Quan is discussed. 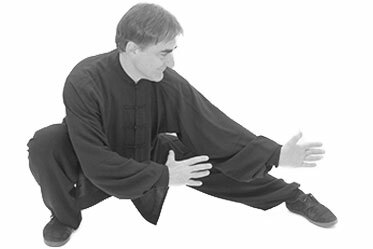 Many Xing Yi practitioners draw on Qi Gong sets unrelated to Xing Yi in order to round out their practice. It is even more valuable to practice a set of Nei Gong exercises that directly relates to the art you practice. Every movement in Xing Yi Nei Gong is related to the internal dynamics of Xing Yi Quan. Many of the movements have a direct relationship to the Five Fists and 12 Animal Forms – Xing Yi Nei Gong focuses on and isolates these power dynamics. Regular practice of Xing Yi Nei Gong helps balance your practice and can be used as an internal “warm up” before practice of Xing Yi’s forms and partner exercises. How is the Xing Yi Nei Gong Program delivered? When you sign up for Xing Yi Nei Gong, you will receive a detailed welcome letter with training guidelines, a 100 page PDF manual, and online access to 20 videos (streaming only). The videos are accessible only by students in the Xing Yi Nei Gong Online Program. In your receipt, you will see a link to the files associated with your purchase. By clicking the link, you will be directed to your page. If you have not received an email receipt, please check your email server’s Spam folders. If you can’t locate it, please contact us. If you are asked for your email address, simply enter it and you’ll be directed to your page. Alternately, you can create a Gumroad account. With a Gumroad account, you are able to access your Gumroad purchases at any time through your Library. Upon purchase, you will be able to stream the videos, both over the web and through an app from Gumroad. If you prefer to watch the videos from your phone or tablet, your experience will be improved by using Gumroad’s free app, available on IOS & Android. Please note: videos cannot be downloaded. Can I get DVD’s of the material and/or are the videos downloadable? At this time the videos are only accessible through online streaming. We chose to do it this way to keep costs low and to make the material easy to access for students all over the world. Can I upgrade from Standard to Deluxe later? Absolutely. If you purchase the Standard Program you can upgrade to the Deluxe when you’re ready. Just contact us to do so. 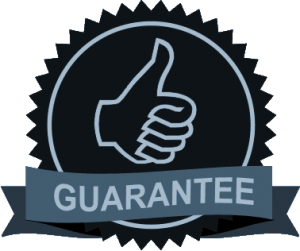 Does the program have a money-back guarantee? It does. If you purchase the program and aren’t satisfied, just contact us within 14 days, and you’ll get a complete refund, minus a $25 administrative fee. The sample PDF is yours to keep. Starting January 1, 2015, the European Union (EU) made a major change to its VAT regulations, that now requires businesses to pay VAT according to the locations of consumers. This law was meant mainly for large companies that have been avoiding higher taxes by establishing presences in places with lower VAT. Unfortunately, the regulation change also put a burden on independent creators who sell digital products to customers in Europe. We’re unhappy with this new law as it puts a large burden on us, and you, the customer, end up paying more. However, we are forced to comply with the new law. We use Gumroad as the payment portal because they are reliable and trusted, and in addition they now collect the VAT automatically. We do not personally collect or receive the VAT. The VAT is collected by Gumroad and distributed to the proper authorities in each country by Gumroad. If you are also unhappy with the new VAT law, we suggest you contact the appropriate local representative in your country. How long will the videos be available? The videos will be accessible indefinitely. We are committed to maintaining your ability to gain access to them. Can I email Tom Bisio directly with questions about my training? It is not possible to answer everyone’s questions about training and many questions are impossible to answer through words alone. We encourage you to practice the material as many questions can only be answered through practice. We do offer workshops in Five Element Qi Gong periodically in New York City and Europe, so if you feel the need to fine-tune your practice, it might be useful to attend a workshop in person. Is the Xing Yi Nei Gong Online Program suitable for children and teenagers? In general, young people do not need health maintenance exercises beyond their normal activities of running, walking, hiking, climbing and sports or martial arts. There is the exceptional young person who might benefit from these exercises, however, they should be recommended to that person by an experienced teacher or a practitioner of traditional Chinese medicine. The movements and applications shown in these videos and demonstrated or described throughout the Authentic Ba Gua Distance Learning Program may be too strenuous for some individuals and can be dangerous and cause injury. Before embarking on this program, or practicing any of the physical movements and activities described in our books, videos and other educational material, you are advised to consult a physician to determine your suitability for performing these activities. Any health benefits attributed to these movements and exercises, whether mentioned or inferred, are not advocated or promised by Tom Bisio, Internal Arts International, New York Internal Arts and The Authentic Ba Gua Distance Learning Program. Any health benefits, whether mentioned or inferred, are those typically attributed to these movements and exercises in traditional Chinese culture. We neither endorse nor advocate these benefits and opinions, nor do we vouch for their veracity. They are presented for educational purposes only. Tom Bisio, Internal Arts International, New York Internal Arts and The Authentic Ba Gua Distance Learning Program are not responsible in any way for any injury or illness that may result from attempting to perform the exercises and movement demonstrated or following the instructions contained in any of our videos, written materials or online discussions.